Ready to install your new patio doors? DIY installation may be popular, but is it the best option for you? Replacing your sliding patio doors is more than just removing your old doors and installing new ones. If you don’t want to make mistakes that can cost you hundreds of dollars, you should leave this task to the hands of the experts at Brock Doors and Windows. With a wide array of options to choose from, selecting the right patio doors can be a real challenge. 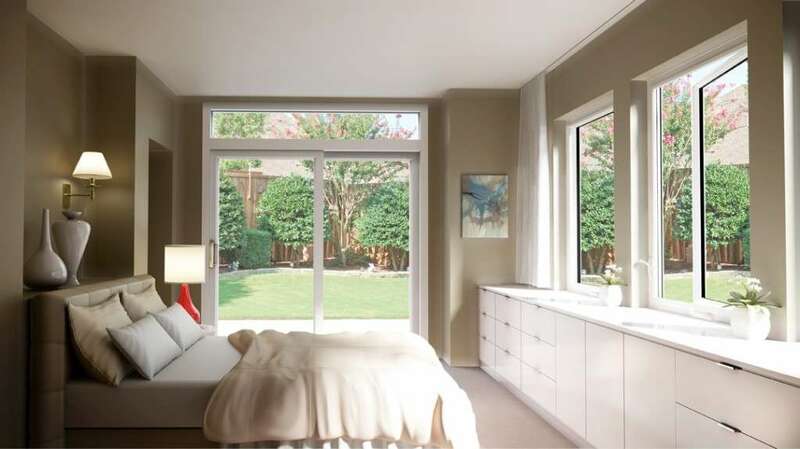 But when you hire experts from Brock Windows and Doors, they will give you quality advice-including the best type of material and glass options, making it easier for you to identify the choices that are best for your Toronto home. Even if you buy the best replacement patio doors on the market, you can still experience energy loss as well as a laundry list of other issues if they are not installed correctly. Even slight miscalculations can result in a misaligned door. This is why precise measurements, taken by experts, are absolutely essential to ensure that your doors will function properly, and perform to their full potential. The professionals at Brock Doors and Windows have the knowledge to inspect the doorway area and ensure it is strong, and free from potential hazards. They have the high quality tools necessary to properly secure your sliding patio doors, making sure they will perform as the airtight, reliable product they are meant to be. When you are making home improvements, you want to make sure you get the most for your money. While it may seem cheaper to install doors yourself, the risk of doing so can end up costing you more than its worth. Brock professionals are trained in the latest in industry know-how, and are experienced in dealing with a variety of installation scenarios. Proper installation takes true expertise. The skilled professionals at Brock offer you comfort and peace of mind knowing that your sliding patio doors will deliver superior security and optimum performance. Our installation team comes prepared with the right safety equipment and training on how to respond to unforeseeable incidents. Your time is valuable, and DIY installation can be time-consuming. Even the handiest homeowners have other obligations, both large and small. Our installation team’s top priority is to get your patio doors installed safely and in the most efficient way possible, allowing you to enjoy your new sliding patio doors in no time. When the time comes to replace your Toronto home’s sliding patio doors, Brock Doors and Windows is here for you. We offer a wide variety of top performing, Energy-Star qualified, North Star and Imagine sliding patio doors and a qualified team of experts who will be delighted to help you every step of the way-from purchase to installation.